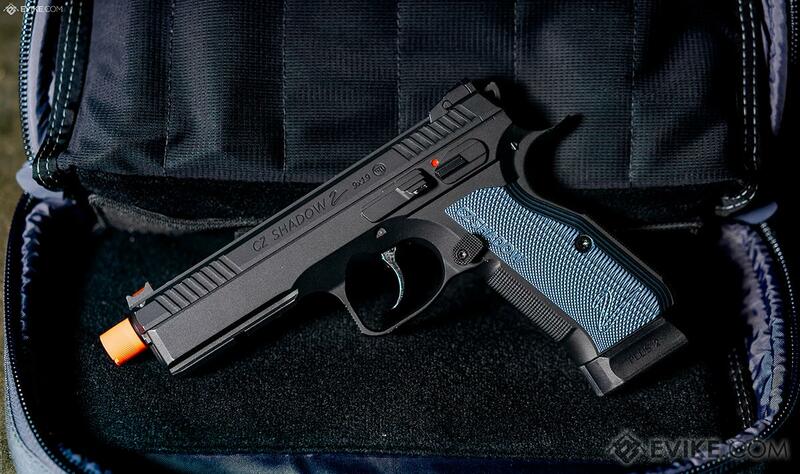 The CZ Shadow 2 is our new flag ship in the CZ family line of pistols. Designed by top tier competition shooters, the is well balanced and made for speed and precision. The ASG CZ Shadow 2 CO2 (Gas magazines sold separately) Airsoft pistol takes from its real steel counterpart and delivers on all the same great features. The slide is crafted out of anodized aluminium and features a less rounded and more angled design with a slight weight increase due to a wider slide. The added weight and design of the slide will make recoil management better and give off more precise shots on target. The serrations on the slide are deeper and more pronounced giving the shooter a firmer grip when racking the slide. The checkering at the front and back of the pistol grip are more sharp and when combined with the CNC machined zinc shells which are thinner in profile, promote a lot better wrap around the pistol grip. The trigger guard has been extended as well for easier trigger access and allows better usage of gloves. The Shadow 2 also features a new grip angle cut which is deeper at the beaver tail along with a new undercut at the trigger guard. This lets the Shadow 2 sit more firmly in the shooters hand and promotes better recoil management. 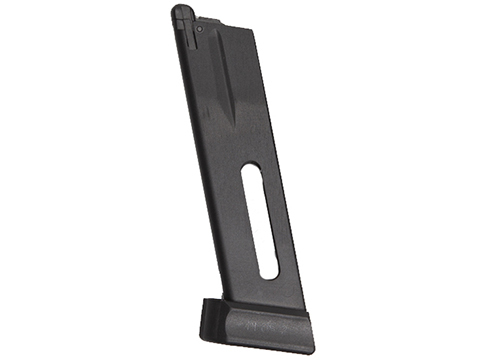 The enlarged magazine catch is adjustable with 3 available positions to be set using only a hex key. 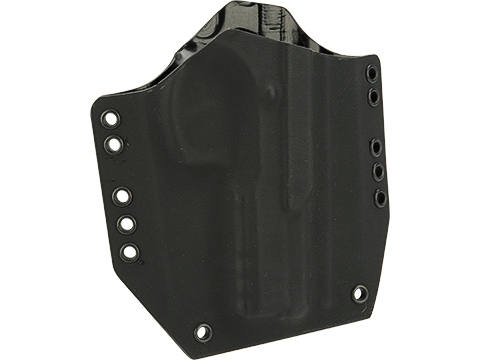 The mag catch has more outwards profile to give the shooter a positive confirmation when pressing the mag catch. 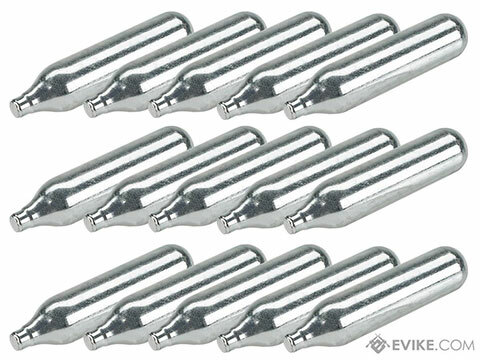 The recoil spring guide is made out of stainless steel for durability. 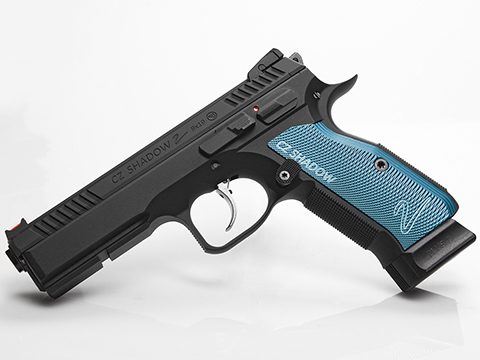 The Shadow 2 comes with a fiber optic front sight and adjustable rear sight. Powered by a CO2 cartridge located in the magazine, the Shadow 2 delivers a hard consistent kick . 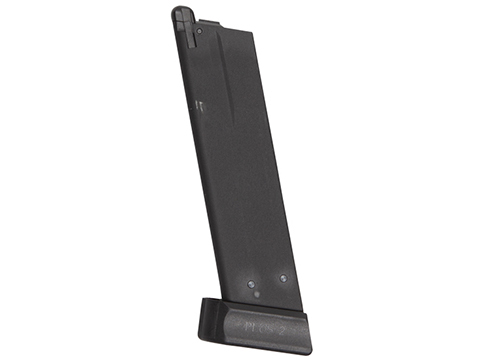 Gas magazines are also available separately. Discuss about Pre-Order ETA June 2019 CZ Shadow 2 Gas Blowback Airsoft Pistol by ASG (Color: Black / Gas) with your friends and fellow Evike.com shoppers!